This is an emission / dark nebula near the belt star ζ Orionis (just outside the field of view near the top), which is thought to be the excitation source. 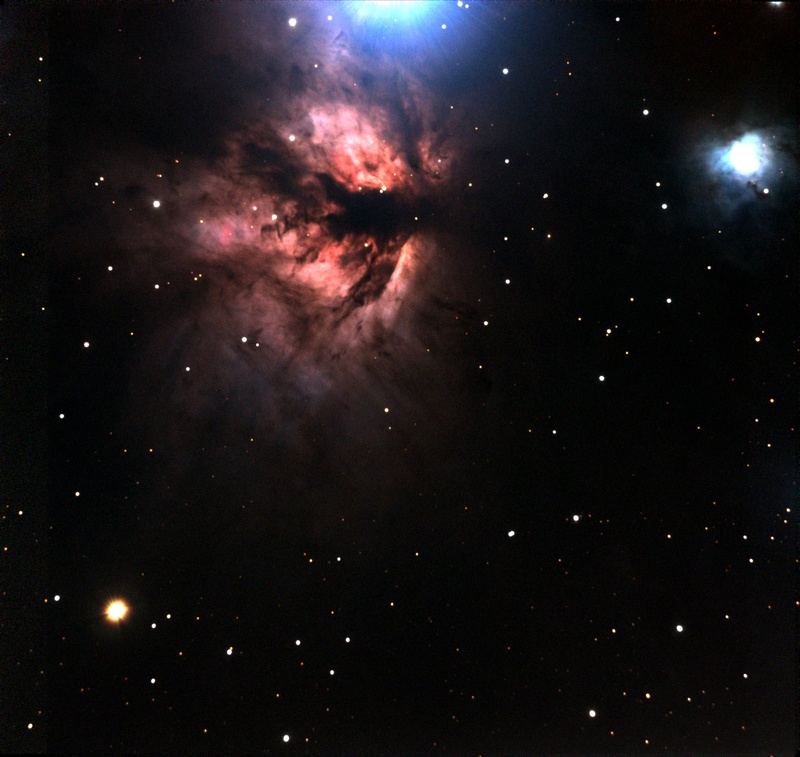 The dark features look similar to those of the Trifid nebula, but with more detail. 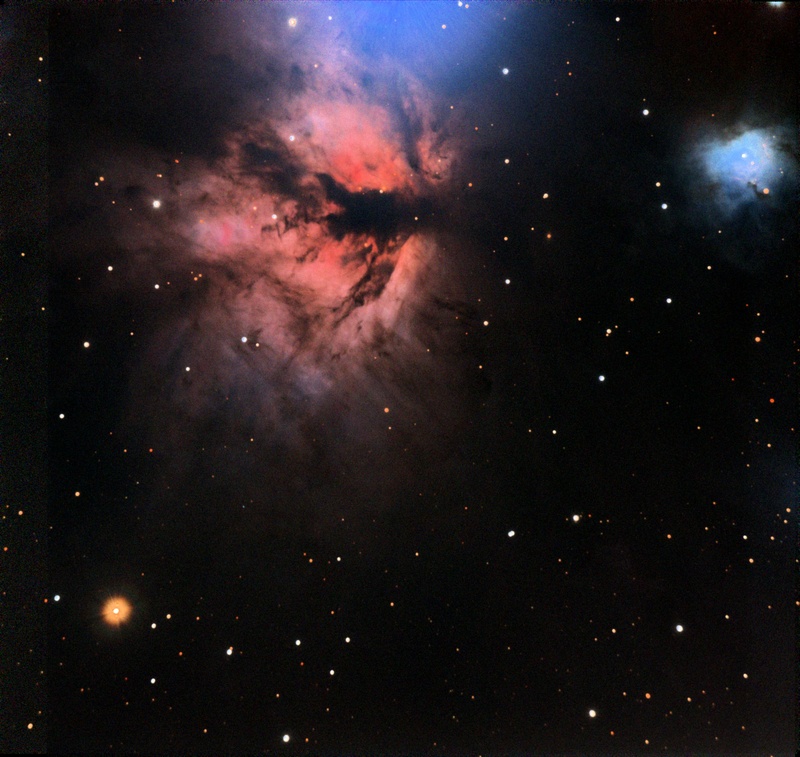 The reflection nebula in the upper right is NGC 2023. This is an emission / dark nebula near the belt star ζ Orionis (outside the field of view to the upper-right), which is thought to be the excitation source. 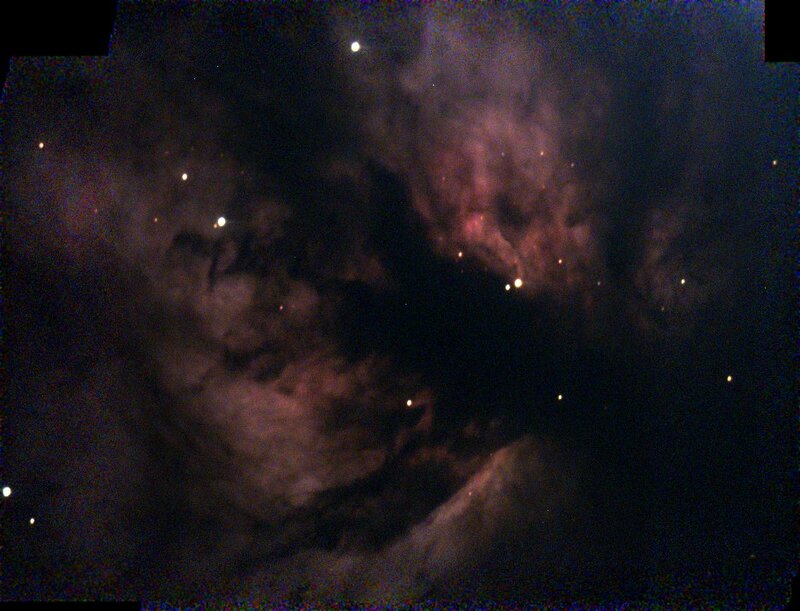 The dark features look similar to those of the Trifid nebula, but with more detail.